It is always great to attend the events hosted by James Cooper, founder of Business of Apps. His App Promotion Summit series offers the perfect platform to connect with key players of the app industry, meet clients and establish new partnerships. App Promotion Summit London, held last week, was no exception. Here are some key observations by our Head of Campaign and Ad Management, Rafael de Carvalho, and our Head of Sales International, Paolo Zappalà. At App Promotion Summit, a lot of attention went to the still growing business of influencer marketing. 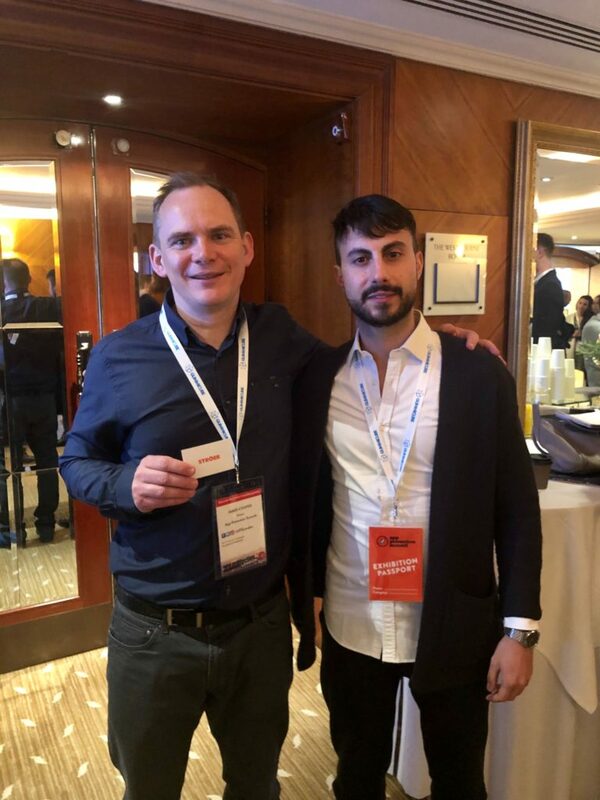 Particularly interesting insights came from Darius Moravcik from Reflectly, who opened the content part of the conference, and Joe Gagliese, Co-Founder & Managing Partner of Viral Nation. From what we heard, finding a powerful strategy for influencer marketing calls for understanding that these influencers are human beings – which can also be risky for brands. We learned that micro influencers often offer better ROI on app marketing than bigshot names. Yet this demands close evaluation to understand the dynamics in order to fuel app growth through influencer campaigns. For marketing people, this also means they lose some control in terms of their brand messaging – but have a big chance to win trust from real humans. We at Ströer Mobile Performance provide a new and innovative solution to exactly the challenges arising when analyzing the effect of micro influencers and scaling promising campaigns. Our own technology suite allows for testing a variety of influencer postings, micro or big. Based on the results we reach scale through sponsored stories that are based exclusively on performance. The result is that we marry positive ROI and lifetime usage with the opportunity of installs based on our influencer analytics. One of the big topics at App Promotion Summit in London was re-engagement. As data volumes grow, consumers have more apps on their handsets so it gets harder and harder to be spotted not only in app stores, but also on the screen itself. It is often stated that gaining installs without engaging and re-engaging is a waste of budget. So finding consistent strategies and making inroads with an already acquired user base is key to the long term success of app growth. Carla Manent Molina from TUI offered good insights at the conference. For us, re-engagement is a big topic that we put a lot of focus on, both in terms of staff expertise and programmatic. This will be a big part of our work in the months ahead as we develop our company’s profile further. Re-engagement as a goal has become more and more important for the deeply rooted relationships our company has with a growing number of key partners. In the current Q1 of 2019, one of the noteworthy campaigns we ran to large acclaim was for the leading German car-hailing app. The results of this re-engagement exceeded ROAS expectations both on re-marketing and user acquisition. There was one particular idea that resonated with us: While we are all talking about app growth strategies, targeting, artificial intelligence etc. etc., sometimes we forget the basics. This point was addressed by Movebubble’s Charlie Cooke. He said that in this world of ad tech that we live and make business in, clients shouldn’t forget the groundwork, i.e. : their homepage and even offline appearance. 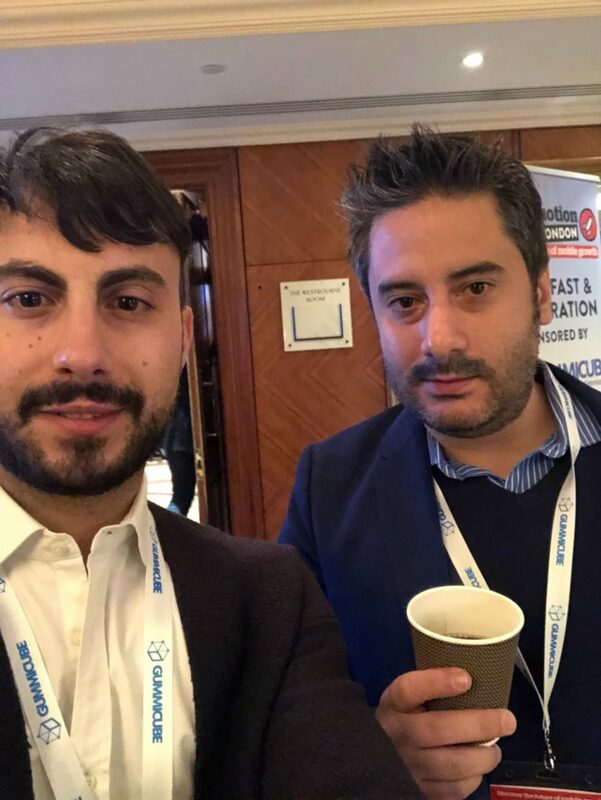 All in all, a great day of app growth inspiration and networking at App Promotion Summit London.